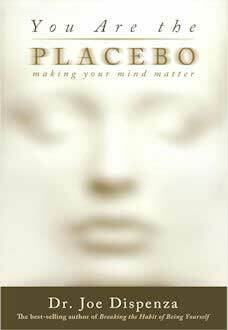 You Are the Placebo: Making Your Mind Matter by Dr. Joe Dispenza is an excellent book! And please don’t be misled by the title term “placebo”. This book is much more broad than how we often think of a placebo, i.e. in a medical/health-related context. It addresses any and all situations you may encounter. Yes, anything! The book’s clever subtitle “Making Your Mind Matter” might even be a better title, as it’s all about consciousness as your mind being made into matter. Corresponding to the division of its 2 sections, it’s both informative and transformative, with impressive substance on both counts. The first section (including the author’s own story, which is just amazing) contains in-depth yet very well written (i.e. interesting and easy to understand) explanations of his concepts; both what they are and why they work. It’s extremely well researched, includes helpful diagrams, and is one of the best books I’ve seen on the subject of working at the most subtle levels of consciousness to powerfully effect change in the physical world. I especially liked his chapter “The Quantum Mind”. So often this type of information gets garbled or too complex upon explanation, but he does a beautiful job of describing the concepts, especially the ones that are relevant to his simple yet concentrated suggestion for applying the ideas. He also does an excellent job of presenting all his ideas and experiences in a factual, believable manner. I so appreciate that it’s not presented as some fringe or New Age idea that many would disregard even before investigating, but rather as the proven yet leading edge idea that it actually is. I’m personally eager for mainstream to get with it, and I think this book will be a great help toward that end. The 2nd section is how to apply it. It’s a concise but powerful part of what he offers, in that it first prepares you for a guided “meditation” process which he then proceeds to provide word for word. I so appreciate that! For anyone familiar with what I call “Quantum Consciousness” technology (for lack of a standard term), this book will add a lot to both your understanding and practice. There are many ways to effectively practice QC, and this book adds elements that I hadn’t thought of as integral to the practice. However, I’ve been using his meditation for several weeks now and find that although these elements may not be absolutely necessary, they do make it much more reliably powerful. I’m fully on-board with his suggestions for the time being. One concept of QC that he repeatedly emphasizes is that your future doesn’t need to be your past, so when your old patterns shift, you’re beginning anew. You’re not even having to heal anything, you’re just letting that past go and literally beginning anew in the moment. He expertly guides you to explicitly let it go and open to a brand new future of your choosing. My own ongoing sense with QC (including the method presented here) is that you are not so much fixing something, but actually replacing an old pattern of disease or disharmony with a new, more desirable pattern. And almost effortlessly! His guided meditation is also very useful in helping you maneuver more deliberately and skillfully between pure consciousness and what you would like to manifest. I’m not sure this exact aspect is intentional but I find it fascinating and surely worth noticing. My only quibble is that he sometimes uses the word “thought” for consciousness, and I think this can be confusing if not downright misleading. My experience is that the two are very different. (Are you familiar with Eckhart Tolle?!) Still, his explanations supersede this confusion, so I don’t consider this a big problem. Last but not least, I want to report that I already have first-hand experience that what he teaches here works. And it will amaze you. I’ve used it successfully with a few different situations in my life, most recently with a back injury. After my first session with the back injury, I was stunned that it was significantly improved (like 80% better? ), just in that one session! It was as if it had healed many days’ worth in just that one hour. I felt like a new person, and as you’ll learn, I actually was in many ways! If I’m stunned after effectively practicing QC since 2007, you will be too. It was nothing short of phenomenal. My husband has started using the meditation along with me for a chronic health issue he’s had, and even without reading the book he’s also noticed significant improvement. Get this book. Practice the suggestions he so thoughtfully packaged for you as a meditation at the end, and watch your life situation(s) improve. Spread the word and help humanity move forward. It’s time we all embrace what’s truly possible. Many many thanks to you, Dr. Joe Dispenza. Your book is a priceless gift. And thank you to Hay House for publishing this and offering it to me for review. I may not have even noticed this treasure otherwise. Note: I received this book for free from Hay House Publishing for review purposes and this review reflects my honest evaluation. 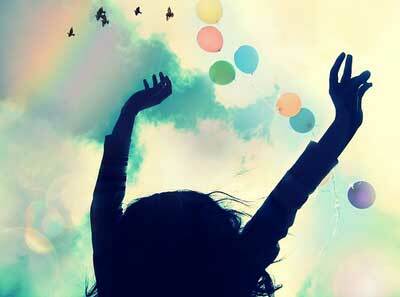 How often do you experience yourself anew, completely free of a past and a future? If you’re like me, then probably not enough! But it’s possible to do it quickly and easily. And you’ll come away with a new sense of freedom and possibility. Even though the now is eternal, everlasting, with no beginning or end, as perceptive human beings we perceive the eternal now as a “moment”. Well, what if this moment — this very moment … right now — held everything in complete wholeness, with no need for a past or a future? And what if your existence and all you’re experiencing in this moment were completely independent of your past or future? In a future post, I’ll elaborate on how that is, indeed, the case. You’ll see how your existence in any given moment is separated in an important sense from your existence in the previous or next moment (as you perceive it). The independence of this one moment is one aspect of the broader idea of being in the now, and is an element of the “state of magic and miracles” which is accessed as part of a Holographic Emergence™ session. As you let your thoughts drop away, you’ll notice that without mind, what we experience as time drops away as well. What if this moment itself, and your experience of yourself, is not determined or limited by the previous moment at all? What if it also does not determine or limit you in any particular next moment? In other words, what if continuity of things and processes in our 3-D world is just an assumption we make, and then continue to empower and manifest because of our belief in it? Imagine the possibilities if we weren’t hemmed in by past or future! Right now, you can experience yourself as new; as independent of any past or future. It can help you begin to be aware of (and then break out of) some of your unconscious assumptions about what must be. 2. Experience yourself right here, right now, and that’s it. You are not involved in an activity, experiencing a certain mood, in a certain place or anything. You’re just here, right now, and only this instant exists. Can you get that sense? 3. Realize that no particular “next moment” is inevitable. There is nothing else attached to here and now. Notice, too, how conditions or even situations can not exist in this moment because by definition they both require continuity. Can you feel the freedom and possibility in that? This really is the most important thing I could possibly say. But bear with me, as it’s a whole different paradigm than most people live by. When you know who and what you truly are, in your essence, you will realize that you are not at stake here in this life. That frees you to simply enjoy it, challenges and all. I know. I’ve been through some major challenges, the most recent being a major financial loss. It could have been devastating but for this new way of BEing that I picked up along the way. It’s about living in Presence, one experience of what I call the Open State. If you’ve followed Eckhart Tolle, you may have an idea what Presence is. But I also think that many of us (because I did it in the beginning, too) have a shallow understanding of what Presence actually is. It’s NOT simply being in the moment in the sense of experiencing what’s in front of you right then, although that’s a helpful way to finally get to it. It’s not even just about practicing mindfulness – that’s more a way to enjoy and “play” (which I’ll talk more about below). It’s about going a level deeper than that. It’s about BEing in that moment fully and to such a degree that you are aware of your immortal nature. You become aware of the space or silence or stillness that Eckhart refers to. You become aware of the still field that is omnipresent, existing throughout all things. The field that you ARE. The awareness that you ARE. Once you’ve experienced this, you just know that you are not threatened by anything happening “out there” (more on “out there” later ;-)). You are not helped by it, nor are you harmed by it. And then, as you experience it more and more, this knowing becomes a part of who you are as a personality, and you begin to live much more in peace. 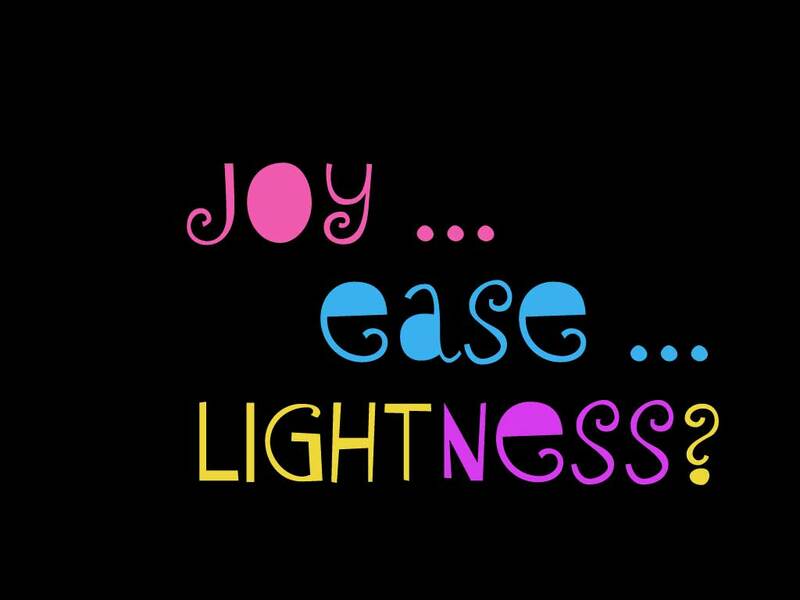 In joy, ease, and lightness. Fear begins to melt away. The love that you are in essence begins to express, naturally, as compassion for everything and everyone, for you know that it is all YOU. And you don’t just know or believe it intellectually. You know it through and through. But still, YOU are not affected by it in any way. Not really. Which frees you to play with it, no matter how your mind might judge it. And you experience your life as one giant playground, full of all kinds of new experiences! I’ve come to this over time primarily with the remarkable guidance of 2 enlightened beings. 1) Eckhart Tolle. I can’t recommend his work enough. I’ve read his books several times, each time getting something deeper and richer. I listen to his audios over and over, again hearing or absorbing exactly what’s needed to keep me moving each day toward this state of BEing. 2) John Sherman. His work at River Ganga is extraordinary. Without him, I don’t think I’d have really gotten even what Eckhart offers. His teaching is one-pointed, i.e. Look at Yourself. It’s through this extremely simple practice that I have really grokked who/what I am. I mean really, really got it, to the core. I no longer simply experienced the stillness. It became clear that that is what I AM, and that stillness is ultra-aware. It’s pure consciousness. It’s awareness. It’s me. Both Eckhart and John illuminate in a new and accessible way what the Eastern Masters have been saying for millennia. I spent quite a long time immersed in Eastern philosophy. The world they so beautifully describe is nothing short of heaven on earth. (Have you ever read the Upanishads? They’re breathtakingly beautiful!) I’ve meditated for decades and meditation is, of course, helpful. But it wasn’t until I became aware of these two and dove deeply into their teachings that I was able to actually access it; to benefit in a meaningful and profound way, and to really begin to become more consciously this Light that we all are. The good news is you don’t have to be at the summit to experience extraordinary benefits. Little by little we become more and more conscious of who and what we are. And little by little, we emerge as our true, authentic, essence. And this unfolding is rich and satisfying. What are your thoughts about Presence? Or better yet, what’s your experience of it? Please let us know in the comments! Want to learn more about Emergence – plus experience a session yourself? You’ll receive the Emergence Primer + Tune-Up Session as a thank-you gift (it’s an instant download) when you subscribe to my free newsletter. The Open State is the answer to everything, IMHO. I think it’s what my life here is all about. I’m about to launch a series of posts on the Open State, starting next week. Let me give you an idea of what it’s about so you’ll know if you want to check back in. First, what is the Open State? Really, it’s BEing who or what we are, in essence. In the series, I’ll talk more about what I mean by this and how you can get there yourself. Second, what’s the value in it? In a nutshell, I think the answer is two-fold. One, it’s a powerful foundation for manifesting. 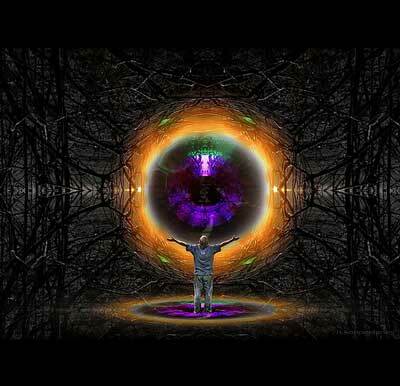 It’s the state that is fundamental to my Holographic Emergence™ practice which is about tweaking how things manifest. In a broader sense, it’s a way to live, or rather to BE, so that life on this plane manifests beautifully as you go. I mention this first because so many of you are focused on how to manifest consciously. And so am I. But I see this as something we are here to “play” with. And having that attitude of play rather than need comes naturally right along with it. Secondly, and most importantly, it allows you to enjoy life, no matter what. It’s somewhat akin to moksha, or the spiritual liberation that many of the Eastern masters speak of. So even when our life situation is not to our liking, we have a sense of the bigger picture and do not feel threatened in any way. To alert you that you have allowed yourself to be taken over by psychological time, you can use a simple criterion. Ask yourself: Is there joy, ease, and lightness in what I am doing? If there isn’t, then time is covering up the present moment, and life is perceived as a burden or a struggle. In other words, are you living in the Open State? I made the image at the top of this post to use as one of my desktop backgrounds, for when I want a reminder to check in. Feel free to download it (right-click on it and save image as …) and use it if you’d like. So that’s a quick over-view and if you find it intriguing at all, I hope you’ll come back – and please let your friends know about the series, too! 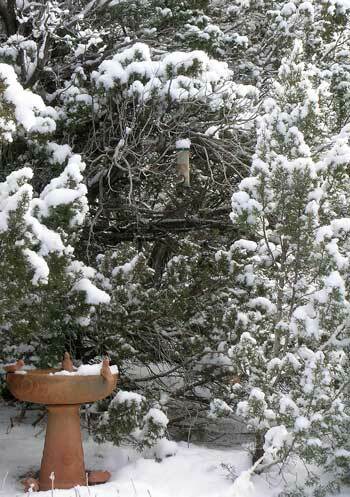 And speaking of joy, ease, and lightness: It’s spring here in New Mexico and the hummingbirds usually return around now. I just love their spirit and to me they represent such joy and lightness (even though they fight like the dickens sometimes) — the same way I would describe my own sense of BEing when I’m living in the Open State. I like to let them be harbingers of that for me. 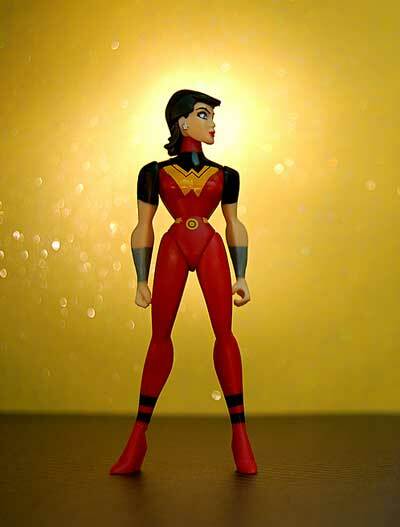 I hope you have a *wonder-ful* Easter. I am not teaching you. You are consciousness, and you are listening to yourself. Do You Suffer From Resisting Life — and Don’t Even Know It? 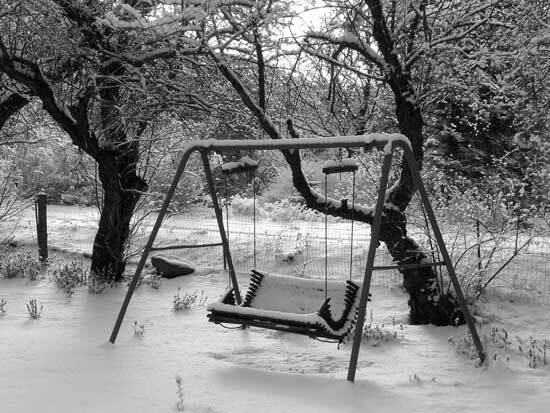 I was waiting for snow. I’d been invited to participate in the Winter Harmony series that’s taking place at Inner Alignment Mandalas. 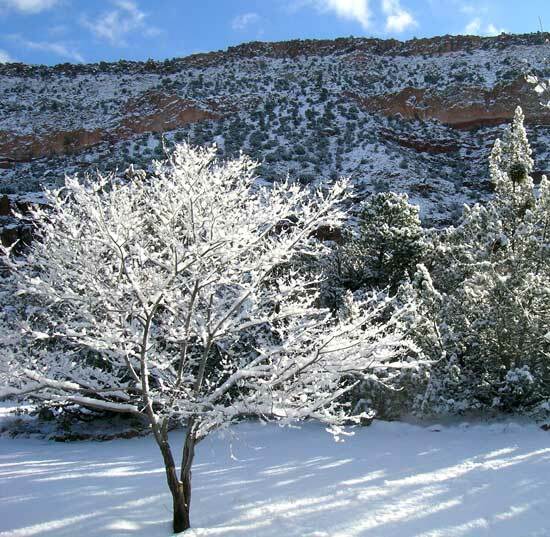 I wanted to do a video to show the beauty and peace of winter as I experience it here in the “Land of Enchantment” (New Mexico’s label). I really wanted to share that! So where was all that white fluffy stuff? Nowhere to be found! I waited and waited. But alas. My snowy video was not to be, and I was disappointed. 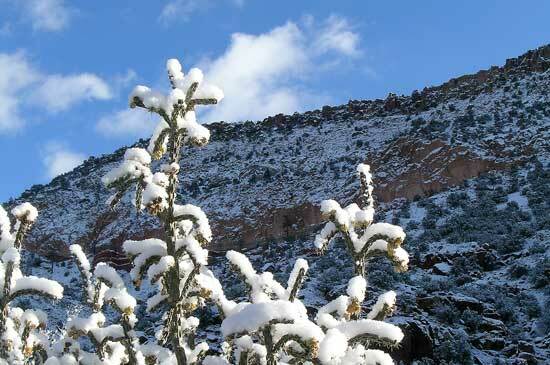 (We did get snow later, though! And just in time for a few New Year’s day photos: Experience Your Beauty). As I considered that, I got to thinking about all the times I’ve felt at odds — even in small ways — with what is. Sometimes the feeling knocks me over the head with its intensity, but sometimes I barely even notice. The odd thing is, the case where we don’t notice can actually be worse, because we don’t have that chance to work with it consciously. Being aware of our resistance so we can work with it consciously is the first, most important step toward peace with what is. When you can notice, you’re well on your way. Fortunately, there are lots of signs life gives us when we are entering (or well into!) that state. They come in many forms. They can be obvious, in the form of mental, emotional, or physical turmoil. Or they can be so subtle we barely notice. We can be so used to feeling these niggly little discomforts that we don’t even feel a difference. In this case, especially, self-awareness is the trick. Here are some signs that you might be fighting life. 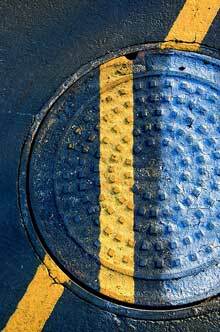 Obvious indicators often have their own, built-in suffering. • Physical problems caused by upset: a knot in the gut, abdominal upset, aches and pains caused by stress, etc. This is where things can get tricky because unless you’re very aware, you won’t even notice the uneasiness that accompanies these. This resistance is quite subtle and can show up as a slight inner discomfort or a subtle contraction (vs. expansion). • You’re resisting or avoiding something. Anything! Pema Chödrön calls this resistance by its Tibetan name, shenpa, and discusses it at length in her inspiring talk “Getting Unstuck: Breaking Your Habitual Patterns and Encountering Naked Reality” (which I highly recommend). She offers tools for learning to stay with our uneasiness, and shows us how to recognize shenpa, catch it as it appears, and activate the wisdom and confidence that lies beneath it. But noticing is the most important first step in addressing it. In fact, without this step, knowing what to do about it is worthless! So, do practice noticing these signs along with me. And if you do catch yourself, that’s the *magical* moment, that split-second, when you actually have a choice. 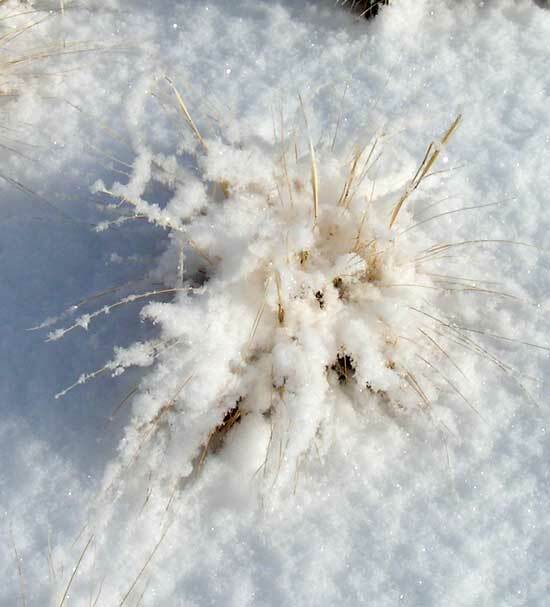 The moment I came to terms with the idea that my snowy video was not to be, I began to open rather than contract. 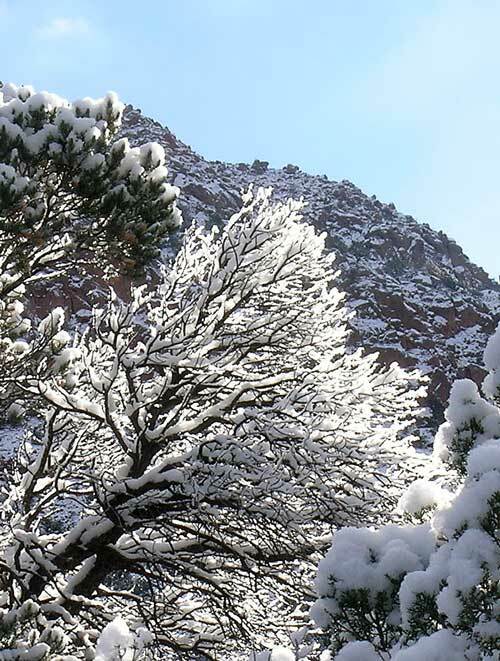 New ideas began to flow in, and I have to say I’m very happy with what I finally submitted as part of the Winter Harmony series: 15 Ways to Awaken to the Gifts of Winter. I daresay it’s even better than the video I first envisioned. 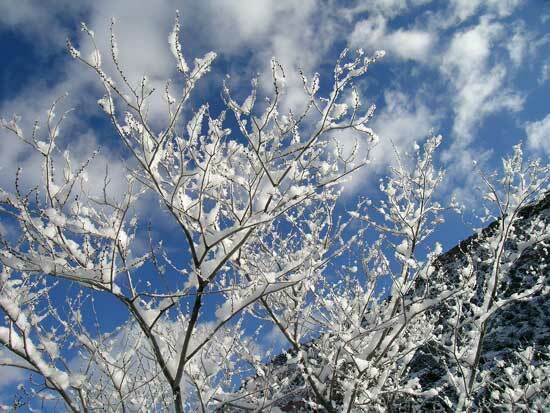 I explain why winter is special (from the perspective of Jyotish and natural cycles) and offer 15 ways to take advantage of its unique qualities. Plus, there’s a free audio download included. And all that because I stopped resisting. Pretty neat, huh? As always, I’d love to hear your thoughts! Hello all you powerful creators! What fantastic creations are emerging through YOU this year? I’ve spent part of each day this past week asking myself that same question. And I want to share a process I’ve been using that will help you access your own power to create what your soul wants to bring into the world. 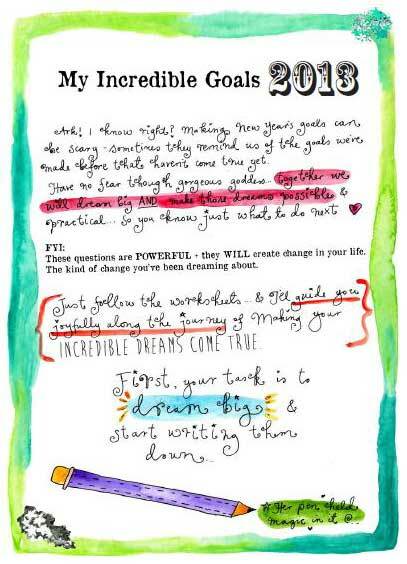 I’ve been so enjoying making my way through Leonie Dawson’s Create Your Incredible Year Workbook, Planner & Calendar. Just a dent so far, but a powerful one! And the more I get into it, the more I love it. Unlike a lot of planning tools, one of the things she does that I’ve already gotten so much out of is she guides you through a review of your past year before you jump into the next. I’ve gotten so much valuable insight already, I can’t begin to tell you. Another thing I’ve been doing on my own, just to make sure I’m clearly connected with my essence as I dream and plan, is I take regular, short (3-minutes or less) connection times with my own be-ing. I started out using a timer but as I’ve gotten into the swing of it, am no longer needing that. The advantage is that it opens you to the space where your inspirations reside. Or rather, it keeps you open to it. It also helps you get down to what’s really going on. And easily. 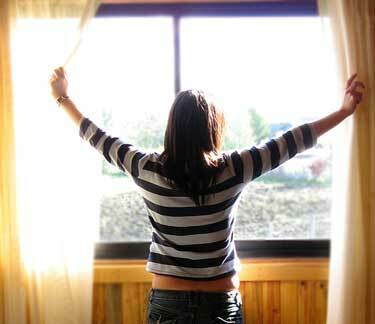 Do you ever notice how, when you wake up in the morning, you’re in a super intuitive & creative space? If you’re like me, that’s when a lot of exciting ideas come flooding in. This also happens when you’re relaxed and not in “thinking mode”, e.g. taking a walk, relaxing in the jacuzzi, driving long deserted stretches, etc. Touching in periodically with that space of no-mind reconnects you with that same state. It’s where our power and intuitive wisdom reside. It’s so simple it’s almost silly to even outline it here, but I will anyway. 1. Take a deep breath in and as you do so, place your attention at your 3rd-eye area (between your eyebrows). 2. Exhale slowly and as you do so, relax your whole body. You’ll notice your shoulders drop. 3. Now as you finish exhaling, immediately drop one more level by moving your attention from your 3rd-eye down to your heart area. You can envision a little elevator taking you from your head to your heart. Do you feel the difference? How still and quiet it is? Then you’re connected. Gently hold your attention there awhile. There’s no need to try to get a sense of anything. In fact, it’s best to simply notice the stillness for awhile. That’s it! As you do this periodically, you’ll benefit from these brief “re-groupings” and you’ll notice that a wonderful clarity remains with you as you work. There will be space between your thoughts for ideas and inspiration to enter your awareness. Those ideas are coming from your essence, and opening to them keeps you on track to fulfill your deepest dreams. A glimpse of the spirit within the pages. What’s becoming more and more clear to me as I practice this, is that Leonie’s workbook is a tight match to my own spirit. The further you progress, the closer you feel to your own heart and soul. And it keeps you in such an optimistic and enthused space. No drudgery in this process, I promise! Just go to her Workbook page and check it out. It’s a teeny-tiny investment for a BIG payoff. The enjoyment you’ll get from using it is itself a huge gift you can give yourself. It’s a natural expression of consciousness. Everything is you, in your various forms. It’s for the consciousness to emerge fully through this form. May you continue to emerge beautifully in 2013.
as all the phenomena that appear in your life. May you experience the peace and joy intrinsic in the full allowing of that. The freedom, the power, and yes, the playfulness! Can you sense what a beautiful gift you are to the world? P.S. 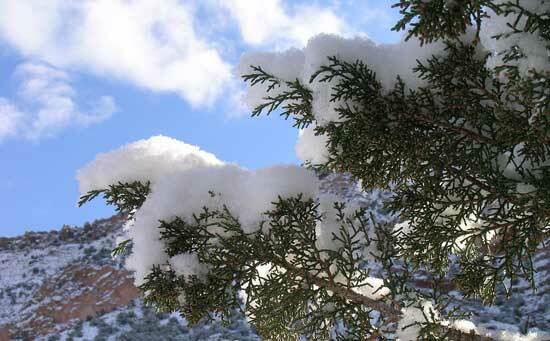 These photos represent just a *little* of the beauty I woke up to on New Year’s day, here in the high desert. I wanted to share some of it with you along with a few of my thoughts as I welcomed this beautiful new year. 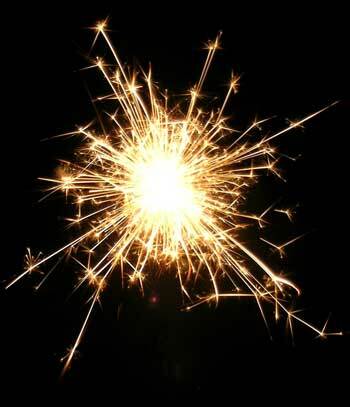 Here’s to a happy & sparkly New Year 2013! I’ve been playing with the idea of lucid dreaming lately. Not literally. Not with my dream-state, at night. But with my waking state, during the day. And the results are immediate and powerful. And my point about lucid dreaming is that even if it’s a scary dream, when you know you’re dreaming, you can enjoy it! But whether a dream is lucid or not: Who is it that’s experiencing the dream? It’s YOU. And as you know, your dream can’t hurt you. You are truly not at stake in it. You’re just experiencing it. It’s the same with “real life“. And whether your dreams are lucid or not, your life ideally is. A lucid life means that at some level you are “awake” and aware enough to not be totally caught up in your story. At that level of consciousness, you can watch this life as if it’s a dream. You really are not at stake in it. At least, not the real you, the YOU that you are in essence. You are immortal and cannot be touched by it in any way, shape, or form. I’ve been working with this idea — that we are not at stake — for several years, and I now know it in my bones. You might know it as well. You’ll certainly know it when you “die”, but if you can believe this now, OH, how much more pleasant your life can be! Still, I’m not asking you to believe this if you don’t want to. It’s great if you do, for life becomes a fascinating adventure rather than something threatening. But even if you don’t, then for the sake of experiencing the release I’m suggesting, just see if you can pretend to believe it for now. I’ve been so frustrated lately. I went to the doctor a few months ago for an annual physical. I was very clear that was all I wanted, nothing more. I’m now getting notices that I was charged for a LOT more. I spent the last month being routed around to 10 different people trying to find out who to even talk with about this. I finally hit on the right guy, only to find out that he doesn’t return calls. When I finally caught him “in”, he made phone appointments with me which he just didn’t bother to keep. Yes, he stood me up! Twice! I’m trying to find someone else to talk with but that’s been a dead end. I’m feeling hung out to dry and completely powerless. No, I’m not going to drop it. I’m tenacious. But the way I’ve found to work with it so as not to be completely frustrated and angry is to remind myself that it’s all a dream. I am not at stake in this. I am determined to continue to act with integrity. I am determined to not let him or that dysfunctional facility ruin my day — or even one more precious moment. I mean, it’s a beautiful day, and I’ve got so much to be grateful for, not the least of which is this amazing adventure called life, whatever it brings, right?! And so, I play with the idea that this is just a dream … and you can do this too. It’s a different level of dream than you have at night, but still a dream. One difference is that at this level, things actually make their way into what we know of as form, as manifestation. But it still doesn’t hurt you. It can’t possibly. When you’re able to remember this (i.e. be lucid, and at some level awake, and know you’re not at stake), it helps you be present for the adventure. In my example, it’s hard even for me to believe but I found myself actually enjoying the call I made to him this morning, telling his message machine that I didn’t appreciate being stood up. Yes, enjoying! And I don’t mean gloating, nor being “above it all”. I mean being totally there, allowing Presence to direct my words spontaneously, and appreciating it as part of this life I get to live. So I wanted to share this idea with you. I know that over the holidays, especially, we can get stressed out even more easily than at other times of the year. And this is a great way to turn stress into productive play. To change our habits of upset. It feels great, and I dare say that in my experience, it also helps what we think of as “the future” to unfold most gracefully. Do you buy it? If not, do you see how pretending to buy it and then acting accordingly might help? Are you willing to try it? Just in time for the new year! 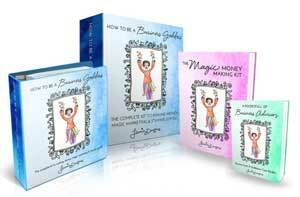 Leonie Dawson has just come out with her 2013 Creating Your Incredible Year Workbooks + Calendar package. S he’s an inspired artist and wise soul, and all her work is just so upbeat and fun. The workbooks and calendars package helps you become aware of and make progress on your goals (and much more), and is full of her uplifting and colorful artwork. I’ve already looked through mine and can’t wait to dig in! If you want to buy one as a gift — or even for yourself 😉 — you can find more details here. 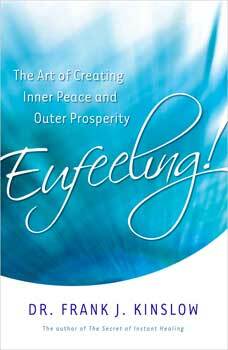 Dr. Frank J. Kinslow has written a magnificent book called Eufeeling! The Art of Creating Inner Peace and Outer Prosperity. It’s about how you can use what he calls “Eufeeling” to enhance your life and your experience of life, no matter what your life situation. As the subtitle states, it’s a way to create both inner peace and outer prosperity. The process hinges around being able to experience Eufeeling, a calm state of presence, and much of the focus is on teaching you how to do that. It’s a simple process, explained very well, and all you need to do is try it out and — most likely — to practice it. If you will commit to practicing Eufeeling in your daily life, then this, in itself, will help you love your life, no matter what that consists of. Life is not about trying to see things in a positive light. Life is the positive light. But you also learn how to apply Eufeeling to particular applications or intentions. There’s a lot of excellent instruction about intention and what that means in this context. If you already practice some form of intention work, you may be surprised at Dr. Kinslow’s suggestions. Exactly how you place intention is an important aspect of the process and this was one of my favorite sections. … We tenderly open our awareness to our [intention] and then watch as it gently kisses the surface of Pure Eufeeling. This is the magical moment, the flawless conception, when all of creation awakens to your desire. Is that a breath-takingly beautiful quote, or what?! The book then goes on to show you how to use it for specific applications, and not only for yourself, but for others. In particular, it covers emotional states, chronic illness, material wealth, and general problem solving. He closes by beautifully elaborating on how and why our practicing such an art helps humanity in general. I agree with him that it’s important, meaningful work and also that time is of the essence. I was happy to see that this book is very well written. As a former engineer (software), I very much appreciate this type of top-down approach, first giving us context, and then getting into detail. The book is also well-ordered, starting with the basic concepts (which he makes it a point to clearly define — very helpful), methodically building on them, and culminating with how to apply all that you’ve learned. There are exercises throughout so you are adept at each foundational step before you move on to applications that rely on them. Dr. Kinslow is a master of analogy and metaphor. He has an impressive ability to make esoteric concepts easily accessible. I also appreciated his down-to-earth sense of humor that ran through the text like a luminous thread. All-in-all, his engaging style makes for enjoyable and satisfying reading. As to the usefulness of what he teaches here: My experience is that it works! I see this as a form of “consciousness technology” with similarities to Matrix Energetics as well as my own adapted process called Holographic Emergence™. The “philosophy” (i.e. understanding, art, and science) behind it is very similar to what I’ve been doing since 2007, so of course I personally took to it like a duck to water. Also included, in an appendix, is concise instruction on using his “Quantum Entrainment Triangulation Technique”, the essence of one of his other books (so a great bonus). It’s quick and easy and very similar to the Two-Point as taught in Matrix Energetics, and I’ve especially been enjoying playing with this. For someone already familiar with consciousness technologies, it will expand and enhance your practice. At the same time, he explains it all so beautifully that even a novice could pick it up immediately and see some remarkable results. I did a lot of his exercises, applying them to real issues in my life, and I did see results. I’m still experimenting with it for all kinds of things, and it’s more than satisfying … it’s fun! Unfortunately, I can’t say as much as I’d like in one short review. Stay tuned for more posts about this process with a lot more detail, beginning with how it compares with my process of Holographic Emergence™ (and perhaps with Matrix Energetics). I’ll also share more about my experience with it, including how I applied it and what results I noticed. Disclaimer: I received this book for free from Hay House Publishing for review purposes, and true to form, they encourage complete honesty in our reviews. But rest assured that no matter what, any reviews on this site reflect my honest evaluation. Until next time, thanks for reading! Have you read “Eufeeling!” or tried any of Dr. Kinslow’s techniques? Do you have any questions about the book? Either way, I’d love to hear! Please leave your comment below. Want to try an Emergence session — for FREE? Then sign up for my newsletter to qualify and be notified of our next free group Emergence session (aka “Activation”). Of course, you can always get your own private Emergence session too. For more information, see my Holographic Emergence Sessions™ page. I LOVE this quote. It’s crossed my mind often since first reading it. And it’s come to mind most recently after losing our sweet lab, Ollie, especially because I had a lot of synchronicities that made me aware — at a deep level — of the same thing. It started just a few days after his death. I was in the back yard and as I looked up I saw 2 mourning doves walking around the bush from his grave. Now, I never see mourning doves back there, even rarely see them at all around here. And that they should come right from his grave while I was there … Well, let’s just say I noticed. 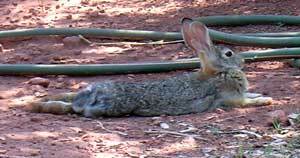 Shortly after that, I was walking over to visit his grave and out hopped a bunny from behind it. It came right over to me, within about 3′, and stopped right at the grave. Again, I took notice. Even funnier, the next morning I got up and there was the bunny lying in the backyard, all stretched out, right where Ollie used to lay all stretched out! This was odd enough but this happened several days in a row. This was getting a little strange, even for me! Over the next week or two, the quote just kept coming back to mind. And it seemed that everywhere I went, there was Life. 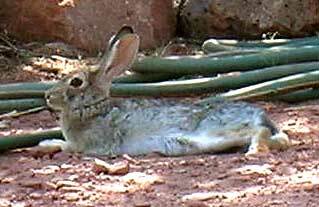 There were lizards, snakes, birds (ravens, baby flycatchers that hatched and flew the coop, and another mourning dove that flew right in front of me), a big moth that sat right on the post near me on the front porch while I worked, and of course, bunnies galore — to name a few. All of this made me sooo aware that Life goes on. And I don’t mean “life goes on” like your life situation has to continue. I mean Life just goes on! There is no end to it. And I did revel in the fact that Ollie was still around. I felt him, not only as his presence, but as Life itself! 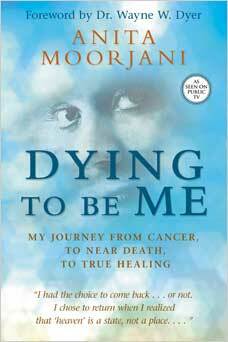 I recently did a book review of Dying To Be Me by Anita Moorjani about her near-death experience (NDE). But did you know I had my own NDE? I did … Not as involved as Anita’s, but enough for me to get a taste of what happens when we die. And I can tell you, Life goes on! It’s amazing. So you may wonder what this has to do with Emergence. Well, experiencing the Life that you are — even your life force (which is a little bit of an abstraction of it but still a good stepping stone) — is a doorway to the state of consciousness you enter when you “do” Emergence. It’s your conscious connection to a powerful field of magic and miracles. In some ways, the state is impossible to speak of, but there are a lot of pointers that can help lead you to it. The truth is: you don’t have a life, you are life, the One Life, the one consciousness that pervades the entire universe and takes temporary form to experience itself as a stone or a blade of grass, as an animal, a person, a star or a galaxy. Can you sense deep within that you already know that? Can you sense that you already are That? Thanks for reading, and here’s to you — as Life emerging! As usual, I’d love to hear what you have to share about this topic, or any questions you might have. Just use the comment box! Thank you! Dying To Be Me by Anita Moorjani is one of my favorite books of all time, and believe me, I’ve read a lot of books. There is so much more value here than you might expect from a book about a near-death experience (NDE). You will find it not only comforting with regard to death (your own or those you love) but it’s an affirmation of life, and inspiring in general. Just as important, you’ll find it helpful in many practical ways. You simply want to feel better in general … happier, more at peace, more purposeful, etc. As you can see, I would recommend this book to anyone and everyone. And it’s a book that I envision myself reviewing periodically for my own benefit. Anita begins by setting the stage with a brief biography of relevant parts of her life. She describes the experience of becoming incapacitated with terminal cancer, and I love that she describes its unfolding not only on the outside but from “the inside” as well. But fairly quickly, she jumps right into the NDE. This is the part I want everyone to read who has ever lost anyone to death, or is facing it themselves. The way she describes it is breath-taking and eye-opening. It’s beautiful, actually, and you’ll never forget it. And just as extraordinary is the explanation of how she then “came back” and proceeded to completely heal. Yes, completely! And how she learned to allow for this “unfolding of miracles” as she puts it. So it’s not just a book about death and what happens at that moment. It’s even more a book about life; about who and what you are; about healing and wholeness … and about allowing your whole world to transform. It’s fascinating to read how you — as your essence — live even through death. And much more freely than you probably are now! How can you live with that same freedom even as you live your life? In her quest to help others through her experience, she shares her thoughts about how you can apply what she’s come to know. You’ve really got to read it yourself since there’s so much more to it than I could even put words to; pretty apropos given its expansive nature. And I’m sure you’ll find your own gems within it, probably new and different insights and practices each time you read it, depending on your perspectives at that time. It’s got a richness and depth to it that I enjoy applying and know I will for years to come. 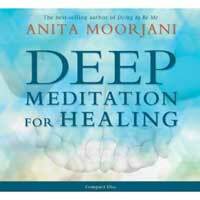 Soon after reading the book, I came upon her audio Deep Meditation for Healing. Just like the book, I love it. 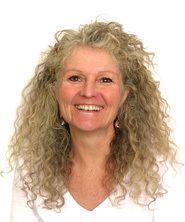 Anita does a beautiful job of taking you into a relaxed, receptive state and reminding you of your magnificence, freedom, and power. You’ll actually feel it and come away more whole and with a new perspective. It doesn’t replace the book, but it’s an awesome adjunct to it, or it could even stand on its own. Disclaimer: I received this book for free from Hay House Publishing for review purposes, and true to form, they encourage complete honesty in our reviews. Still — no matter what — you can always rest assured that any reviews on this site reflect my honest evaluation. 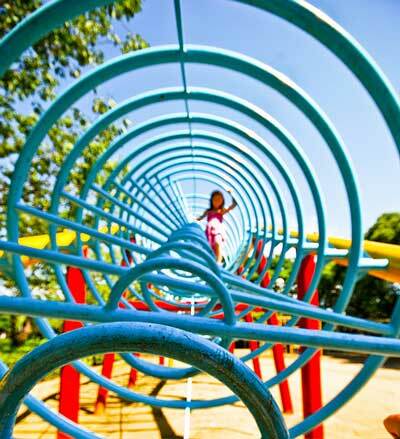 Emergence as a Way of Being … and Playing! Did you know that the most powerful way to practice Emergence requires no overhead at all? Emergence is not so much an activity. It’s a way of Being. And then, on top of that way of Being, there are some ways you can apply quantum principles to help encourage your essence to emerge in a certain way. These are what comprise a session. But you can’t facilitate sessions with a sense of desperation or even need. It just doesn’t work that way. It’s got to be in the spirit of fun, and play. Because that’s what this world of form is. It’s a playground! I, too, have had some big challenges that sure don’t feel like fun. But that’s the trick – to get to that place where even difficult things can be appreciated at least as adventures! We (as consciousness, awareness, essence) are never affected in any way by what’s occurring in our lives. And that means not only “outward” seeming events and situations, but even what most consider “inner” movements such as thoughts and feelings. Well, okay … in a way they are because they are your essence emerging and not apart from you, but they are not you as your divine, immortal Being. It’s helpful to “get” that. Understanding it is a start but ultimately you want to live it. So once you are actually operating consistently from that state of Being, you’ll find that your life unfolds much more harmoniously than if you’re not. And even when it doesn’t, you are able to appreciate it for what it is. How amazing and cool is that?! And then, just for fun, you can learn to do Emergence “sessions” to intentionally play in the quantum field — that same field of consciousness or awareness that is your essence — to help shift how you are emerging. In other words, to affect the world of form that you experience. And this blog discusses all of the above. If you read my posts, and apply the periodic exercises or suggestions, you ought to be able to learn a lot just from that. Of course, you can always get your own private Emergence session too. 😉 For more information, see my Holographic Emergence Sessions™ page. Whether you approach life with the right or left brain, as an intuitive or rationalist, this art and science of Emergence (a Consciousness Technology) can be both fascinating and helpful! I remember making a choice in high school: Art or Science? Which direction to pursue? I was very creative and a good artist, but I loved and excelled at math and science. Granted there are vocations that blend the two, but from where I sat at a tiny parochial school in a small town in the Midwest, I didn’t know that. I felt compelled to choose. I ended up choosing a career as a software engineer, where I used logic all the time and got to work with some really smart people. It was a good choice for me since it was lucrative and I was able to raise my son (as a single mother) in the expensive San Francisco Bay Area quite comfortably. Of course there was a lot of creativity involved but my work was still primarily left-brained and logical. At the same time, I was interested in what’s often called “spiritual growth” as well. I learned my first meditation technique when I was 18 and studied many different disciplines, philosophies, gurus, teachers, methods, practices, etc. I continued to delve into all sorts of consciousness studies. Admittedly, I also loved drugs, especially hallucinogens. I didn’t do LSD often like some people I knew, but I did it enough to find out that there are “worlds out there” that we can’t even imagine. Not necessarily the same as reaching altered states without the aid of substances, but not necessarily different in some important respects, either. I also had a near death experience where I got a glimpse into yet another awesome world. To this day I’m convinced that anyone who pooh-poohs the idea that there is much more to us and our world than meets the eye, then they are simply closed-minded and although they think we are foolish, they are only limiting themselves. As a single mom (now grandma) and an engineer (now retired), I’ve always been inclined to deal with things sensibly and realistically. 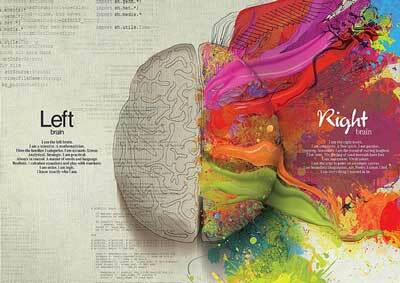 Not wholly but primarily left-brained. I was always very pragmatic. I had to be. But that didn’t mean that accessing and taking advantage of whatever these “other worlds” offered me contradicted that. In fact, doing so would be smart. So why not? Why not a marriage of art and science? Why not appreciate what our right-brain — and indeed, anything else we have access to — has to offer as well as the left?! So although I’ve found that for me, drugs are not the answer (for various reasons), I am still wholly involved in raising and expanding my consciousness in natural ways. The difference is that now I approach it more experientially rather than theoretically, and suddenly it’s becoming clear in a way it never has before. Simple and powerful, it’s one of the most satisfying and meaningful areas of my life. I’m also more than happy to take advantage of the naturally resulting expanded awareness and heightened intuition in order to access practical information and guidance that helps in everyday life. This delights me as I’ve always known intuition exists, and seeing how easy it is to access now is icing on the cake. Sometimes it’s referred to in quantum physics or quantum mechanics terms, such as quantum or holographic, or it incorporates terms such as the Zero Point Field (or Matrix, or Energetics ;-)) or related concepts. This is how it was presented to me, and I’ve done my share of research and reading from that perspective too. This is great when you come at it from the scientific angle. But I continue to verify for myself that in a simpler and more experiential approach, it’s essentially based on consciousness. And yet, the outcome is ultimately practical and useful. The whole point of Emergence is to enhance our lives in meaningful ways, including — but not limited to — those primarily related to consciousness itself (such as attaining inner peace). You, too, can come at this practice from any or all directions, such as consciousness, science, or even pure pragmatism. So you may already be interested in developing an expanded or higher consciousness. You may have been interested in consciousness for some time and have an understanding of and experience with various modes of consciousness. Or like me, maybe you’re a product of the (in)famous 60’s and have had expansive experiences a la Timothy Leary with LSD and other hallucinogens. 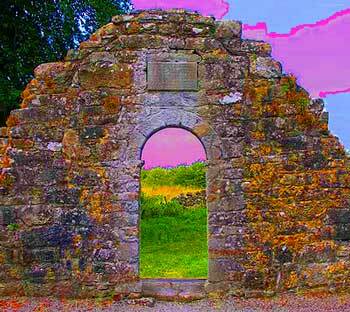 Maybe you simply like playing around with altered states. Or you’ve studied various “New Age” means of manifesting … or are familiar with the power of manipulating energy … or already appreciate the “healing arts“. Or maybe you are simply interested in being able to get useful results in the material world. Perhaps you’re an engineer or white-collar/blue-collar worker who puts a lot of weight on what you perceive through your senses. You’re a cut-and-dried pragmatist who merely appreciates the power of intention and hard work. Or you value science and like my physicist friend, you are fascinated and intrigued by this practical application of quantum principles. Whichever direction you approach Emergence from, you’ll find value in what it offers. And if you want to actually practice it, there are no parts of it that are hard to learn, no matter what your background. And even though consciousness is an essential part of this technology, you don’t have to be a guru or master in order to begin to see results right away. So if you are even wondering if Emergence is for you, then the answer is a resounding yes. You can benefit. And if you want to do it, that’s possible too. And if you enjoyed this article, I’d appreciate it if you take a moment to share it (handy buttons below). Thank you! Apparently, I’ve done a terrible job making it clear what this blog is about. Jeez! This blog is primarily about what happens in one of my Holographic Emergence™ sessions (based on Consciousness Technology) and how you can do it too! It’s just the most powerful healing I’ve ever been through, Patti. I’ve never experienced anything like this, it’s like a floodgate. I’m struggling a little with how to present my main topic because most people don’t know this new paradigm of manifesting even exists! What we do here is so new that it doesn’t even have a recognizable name. That’s because one hasn’t exactly been agreed upon by the various people playing and working in this field, but some have taken to calling it “Consciousness Technology”. So it may take me some time to get it right, but to begin to make it more obvious what this blog offers, I’ve created a permanent area in my sidebar which I will update periodically. For posts themselves, you can use the “Post Topics” section in the sidebar. It has links to posts that match your topic of interest. What is a Consciousness Technology (CT)? I’ll also write more about how I see things fitting together and unfolding, and how it is we are “emerging” holographically into our lives … naturally. Here’s a recent post that touches on that. What are they? Here’s a good description. An example: What happened during the Creation Activation this summer? Believe it or not, participants are actually encouraging me to charge for these because they find them so valuable! You might want to join us for the next few while they’re still free. I let you know about these when they happen but if you want to make sure you’re notified, then subscribe to my newsletter. Subscribers get lots of specials and freebies, and also opportunities to volunteer to try out services and products I have in development in exchange for just feedback. These topics will be populated as time goes on. They can be organized like this. Here I mostly recommend you check out some of the books I list in my Amazon Store. Some of them will blow your mind! But here are a few sample posts about expanding, applying, and getting results. These posts are too numerous to list here, but you can use the “Post Topics” panel in the sidebar. Most of these are currently listed under Intuition, Guidance, and Channeling topics. For now, here’s a recent comment from a client as she noticed what was different. You can’t put a value on something like this. There’s just nothing that compares to the peace and the tranquility that I’m feeling right now. It’s not drug induced, it’s not alcohol, or anything. It’s pure God and energy that you’re able to plug into and … oh, it’s amazing. I can see endless potential for my life now that I didn’t feel before. It’s just amazing. So that should give you a better idea of what this blog is about and what you gain by visiting. Thanks for your patience as I work toward making it so crystal clear that you won’t have to email anymore asking if I actually write about my main topic, LOL! I wrote about a point where I suddenly “saw” myself, almost as if I were observing someone else, and in that moment got some clarity about the situation. In retrospect, I see that something else subtle but important also happened in that moment, a split-second before the new insight. I knew myself as other than the thinker. Other than the feeler. To know yourself as the Being underneath the thinker, the stillness underneath the mental noise, the love and joy underneath the pain, is freedom, salvation, enlightenment. And I think that’s why I was able to access such a clear knowing. I was in a state akin to — if not exactly the same as — the state that I’m in when I do a Holographic Emergence™ session. Ever since then, not only have I been practicing the helpful new way of regarding myself (of which I wrote), but I’ve also continued to watch the thoughts that appear. With each passing day, I’ve become more and more free of being the hostage of them. Of being hostage to the emotions that resulted from them. And from being subject to the almost crippling results of those emotions. So if and when you find yourself going through a difficult time, take a moment to notice your thoughts. Know they are not you. You are the magnificent “Being underneath the thinker”. Let’s marvel and rejoice in that! Know that you do not have to be at their mercy. 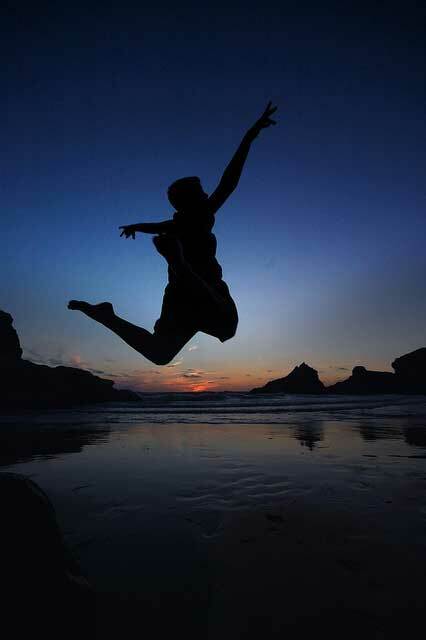 And then enjoy being … and being free! Happy Independence Day to fellow Americans! And to those of you in other countries: May you enjoy your own “independence day” today! And may the light of our spirits shine, shine, shine! Searing, Tortuous Guilt … or Lightness of Being? Have you ever felt guilty? What have you done about it? How did you get past it? Because that’s how I’ve been feeling on and off over the past few weeks. And as of this morning, I’ve been transforming it into something that feels much lighter. Aaaaah. As you know if you read my last post, my sweet dog Ollie recently died. It turns out that he was misdiagnosed, and although I’m now sure that I knew all along what was really going on with him, I didn’t know enough at the time to confidently push back with the vets’ diagnosis. But even more than that, I’m haunted by the idea that I “should” have gotten him to the vet sooner. Besides pre-empting his fast and sudden turn for the worse, I’d have been able to take him to our regular vet who’s really good and who maybe would have diagnosed him correctly, fixed him up, and sent him home with us. So every now and then … periodically … who am I kidding: frequently!… guilt comes to roost. It settles in on my heart with its big, black heaviness and squeezes the life out of me. But besides the fact that it’s trickier to do good sessions, the guilt itself feels absolutely horrible, and on top of fresh, deep, grief it can make you feel almost ill. So I’ve been searching for a reprieve, sometimes desperately, sometimes calmly and wisely. Although I don’t want to just ignore it (let’s move on, think happy thoughts, etc.) nor rationalize why it’s all really okay (he’s in a better place, you didn’t know, you looooved him, etc. ), I do want this to “process” already! And although I got a lot of comfort and growth from most all of the things I did, I still wan’t quite at peace with it yet. Still, they were all important because I’m sure they contributed to the movement that opened me to a new and powerful realization this morning. And here’s how it came about. Then I got into the jacuzzi. I realized after about 5 or 10 min. that I hadn’t even taken a moment to appreciate the beautiful day. I remembered that I had appreciated it as I first walked out the door but that my thought had immediately gone to the idea that Ollie would have loved it. It was nice and cool and he would have loved going for a morning walk. But he couldn’t because he was dead. And sadness and guilt had immediately enveloped me. But as I remembered that, I looked around at what a beautiful day it still was. The hummingbirds were doing their thing at the feeder, sunlight dappled through the leaves of the trees, the air was clear and wonderfully scented, and everything seemed right with the world. Do I deserve to enjoy this day too? And even as I was thinking this I realized that even with all that said, she doesn’t have to “earn”. There’s a spark of innocence, a spark of Divine there that no matter what the personality has learned or not learned so far, that being — every being — deserves love … and deserves happiness … and deserves joy. Really? Even someone who’s made a horrible mistake and “should” have known better? And not only that: she deserves to be able to reclaim her freedom and joy fully. For without that she can’t share what it is that she’s here to share. And what good does that do for anybody? And so, this is the most comfort I’ve had around this issue since it first reared its head. I also suspect that it will offer the same to you. And even in situations where we’re not in deep despair over something we did, but any time we’re judging ourselves for something or another, it’s a perfect exercise to practice. At this point, I can still feel some guilt. But I also feel compassion for me. So it’s not gone (yet), but if anything can transmute it, it’s the light/love. 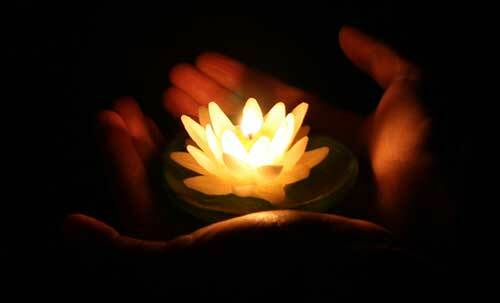 From my experience, that in itself can dissolve or transform all the shadows and difficulties. And interestingly, the very thing that makes me so sad to have let Ollie down, his innocence and his beautiful trusting spirit, that very thing also exists in me. My spirit is also beautiful and innocent, and likewise deserving of love. I love you. I’m sorry. Please forgive me. Thank you. I’ll keep you posted … but you’ll know. You’ll actually know because you’ll see me come back to life. It’s already happening. I can feel it. If you’ve ever felt guilt, what — if anything — have you done about it? Where did you find comfort? Did anything help? Please share! then join us over at Leoni Dawson’s Goddess Circle! 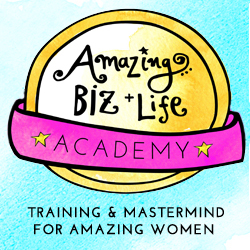 I only recently joined but am blown away by the plethora of inspiring and practical information and tools she makes available on such diverse topics as creativity, creating sacred space, sacred business, $$earning money$$, etc. I’m only now getting involved in the social aspects of the Goddess Circle with the other “goddesses”, but the sisterhood and energy is promising — and I’m excited! I used to have an ambivalent relationship with holidays. I loved them because I got to be away from work, do some special activities, and see friends or family that I didn’t get to see regularly. At the same time, I dreaded holidays because they always got stressful. Even when I made reasonable plans, my commitments inevitably multiplied like bunnies and before I knew it, I was frazzled and distracted, doing things I’d rather not, and all with an obligatory smile plastered on my face. But all that changed soon after I met my husband. He had begun a practice of going to Yosemite for Christmas. When I first considered going, I knew immediately it wouldn’t work. I mean, what about all my holiday “stuff”? Getting together with family on Christmas eve? Christmas dinner and all it involves? What about all the presents I had to buy? And wrap? And pack? And send? And give in person? The cards I had to write and mail? The tree to buy and decorate? All the boxes of Christmas decorations to unpack and put out, and then pack away again. All the cookies I had to bake? All the Christmas parties to flit around to? What about donations to the needy, the service work to do? On and on. And on and on. Aggh! 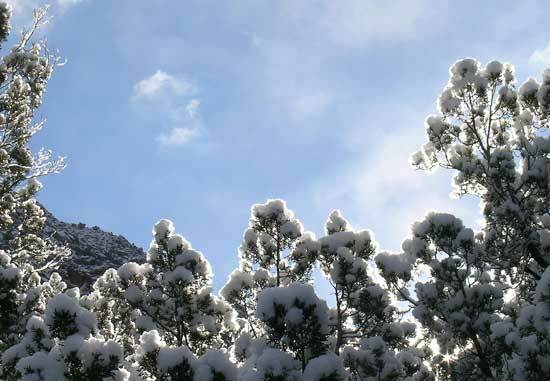 But alas … Christmas in Yosemite sure did sound heavenly! So I began thinking about how to do most of my other stuff ahead of time. Yes! I could do it before and while preparing for the 5 day trip to Yosemite! But the thought of that just freaked me out. I had been moving through all my holiday activities like an automaton. Sure, I enjoyed some of them, and some of them touched my heart. But most of them were not enjoyable or meaningful at all, or they added so much stress and took so much time or money that they were just not worth it to me. And for the first time, I began to make conscious choices about how I wanted to spend the holidays. I let all the had-to’s and shoulds just fall away in favor of the want-to’s. We went to Yosemite at Christmas for a number of years and it was *magical*. We used the heater in our little cabin as our imaginary fireplace and opened our few little gifts to each other. We went to the fancy Bracebridge dinner at the Ahwahnee, a lavish affair with an 8-course meal. We ate bad food in the brightly lit and nearly empty cafeteria and had lovely exchanges with the cafeteria workers, and oddly, that remains one of our happiest memories. And I’ll never forget being in the tiny chapel there with snow falling gently outside, while 2 young kids in front of us fought loudly over the candles for the candle-light service. My heart soared and I laughed and cried at the same time. Those experiences enriched my life and made me a better person. This was the point of Christmas. You, too, can trade in your stressful pile of obligations for free time (*gasp*) where you can connect with the special meaning that each holiday embodies by nurturing its lovely spirit and bringing it to life. You can make the holiday spirit a significant part of your experience instead of something fleeting you try to grasp or catch a quick glimpse of in-between commitments that have gotten out of control. Examine each thing you do and every person you connect with and ask yourself why you do it. Did you merely “inherit” it and now just do it without choosing to do it? Without realizing you don’t have to? Are you allowing others’ expectations to overly influence you? Do you enjoy doing these things? Can you afford it easily or does it add undue stress? What are the results? Are they worth the investment of time and money? Maybe you’ll find that some of these things really are where you want to put your energy. Good! Now you know. And the rest you can consider letting go of. There are always trade-offs. So it helps to consider if there are things you might like to do instead. Maybe you want to leave the newly freed-up time alone. Allow it to just be there and spontaneously enjoy it when it comes around … or not. Or use your creative spirit to brainstorm some fresh, new ideas that have some life to them. What does this holiday mean to you? How can you express that? Who do you love? What do you care about? Do you want to make a connection or contribution? What do you enjoy? What makes your heart sing? Don’t you deserve to commune with the spirit of the holiday for your benefit as well as for others’? With just a little deliberate forethought, and feeling into your own heart, you can make the holidays a time to go deep instead of wasting them on meaningless, superficial activities. Unless you like superficial! It does have its place. The point is to make conscious choices. You’re a grown-up now, and no-one is the boss of you. You don’t need to follow in the old traditions automatically. Of course, if you love them, then yes, indeed! But spare yourself being an automaton for as long as I was. You can break free now. If you’re like me, you’ll be surprised to find that the things you cut out are not missed. And if they are, well, you can do them next year. You can even do them just because. If they have value, do they need a holiday to go with? Maybe not. As to the people you usually spend holidays with, perhaps they need to adjust to your new way, but they’ll come around before you know it. You’ll likely find that it’s not nearly so traumatic on them as you imagine. And the time you do decide to spend with people is much more meaningful when you do it because you genuinely want to be with them. Nowadays, my list is pared waaaay down. This year, we’re having a low-key holiday. We may or may not decorate, we’ll have a delicious meal that is simple to prepare, and I’ll give a few heartfelt gifts to my son and his family. (They may do a road-trip and arrive on our doorstep. If they do, I’ve got plenty of extra time to spend with them.) Lots of children — too many — in our area need hats and gloves (can you imagine? ), and that’s my service/donation priority this season. It leaves me space to touch in regularly with the spirit of this beautiful season, and see where it takes me in the moment. I wish you many spirited moments of your own this holiday season. How do you spend your holidays? Are they spirited? Would love to hear! Do you want a free reading? I’m giving away two — winner’s choice of 3 types! 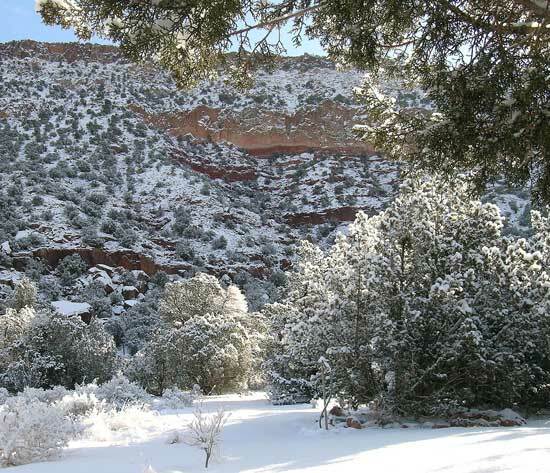 I’ll draw 2 qualifying recipients on the Solstice (Dec. 21 here in NM). Please feel free to spread the word until then. Thanks so much — and good luck! I’d be thrilled to make it into the top 50 blogs but I can’t do it without you! If you like this blog, I’d so appreciate it if you’d cast a vote for it. All you have to do is click here or on the badge above to go to the voting site. Once there, scroll all the way to the bottom, and say you vote for Lightspirited Being in the comment box. 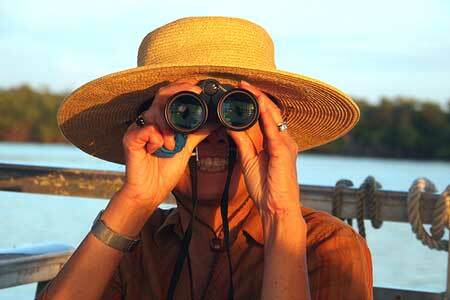 Did you catch a glimpse of your elusive spirit this week? The one that sometimes hides out when you’re looking the other way? This is the end of Week 1 of the 10 week online course “The Answer is Simple”. And week 1 was precisely about how to recognize that spirit of yours! • Who you are is not your story, ego, history, accomplishments, family, personality, community, etc. • You are a spirit. You are unlimited! All those other things have limits, but you don’t. So change your identity. Say I am a divine, glorious, unlimited spirit! • Spirit has personality. There are different kinds of spirits, e.g. Sonia says she is fiery. Some are calm, soothing, grounded. What kind are you? • The key is to know that you are divine. • Recognize and enjoy spirit. It’s beautiful and perfect. It is so powerful it gives you life. • We’re here to grow. Life is school. • Understanding your spirit makes life and lessons easier to navigate. It makes ups and downs more pleasurable to engage in. You’re immune. • Ego is insecure, etc. When you’re in ego frequency, you feel separate and pull away. You’re fearful, judgemental, etc. • Spirit frequency is always peace, love, etc. You want to connect and participate. • Practice and concentrate on recognizing your spirit. • What do you love? What do you enjoy? What leaves you feeling inspired? Notice how your energy opens up. 1. I think our spirits are a part of us (a more subtle version of our physical bodies), but I don’t think we are our spirits. I think that our essential nature is even more basic than our spirits. I think that at our core, we are pure consciousness. That might not even be the right word for it, but it’s a beingness that doesn’t have any “qualities” that we can perceive. It doesn’t change at all that I can tell. It’s always the same. And I said I “think” that, but I’ve come to that idea through experience. It’s not just something I read or heard. The best I can do to describe what I’m talking about is to refer you to John Sherman’s conversations so you can see for yourself. 2. I’ve been playing with getting the word “unbound” (or something similar) into my tagline. I take all her talk about us being unlimited as an encouraging nudge. 3. Another slight disagreement. I used to agree that life is a school, but now I’m not so sure. I think we’re here to simply participate and enjoy (I like the Sanskrit word “lila” for this, the divine play) even more than we are here to learn and grow. We automatically grow and evolve just by being. 4. I agree that at our core, we’re immune. I don’t know that I believe our “spirits” are totally immune. Our spirits are still energy patterns (albeit subtle ones) and still subject to impermanence. Our basic selves are not; they are — or it is — immortal. So, all that said, sometimes I “look at me”, or sometimes to my spirit. It depends on the application. What do you think about the concepts she talked about? Breathing brings you into spirit frequency. When in ego, you hold your breath. Notice how doing this lifts your vibration and opens your heart. Energize yourself with breath when you’re in ego. First, I did pay more attention than I would have if I were just doing this on my own, so thanks to all of you who jumped in to do this with me! 😀 I do think I got more from it as a result. I made it a point to revisit the idea that I am not this personality; I am much more essential and basic than that. And more than just revisiting an idea, I actually did more of the “Looking” this week. I felt really pissy but at some level was still compelled to examine what was going on. I also did some Emergence which included some Channeling about it, and the results of that session were marvelous. Within the next few hours I just kept feeling better and better. I took some time to do the breathing like Sonia suggested. I did notice that when I was upset in some way, my breathing was shallow … and I was in ego frequency like she said. When I focused on my breathing, and on breathing deeply, I was able to easily get in touch with my spirit as she described it. It felt good. What do you have to say about the concept? What were your experiences? Can you make any suggestions or have some ideas for others? If you’re not working the course, you can still jump in with your thoughts. And next week you might want to join us! And now: On to week 2! See you next Friday! Quick note: Thanks to Lindsay at The Daily Awe, Lightspirited Being has been nominated as the “Best Personal Development Blog of 2011“! I’d be thrilled to make it into the top 50 but can’t do it without you. I’m finding that a lot of people who like my services hang out on facebook instead of blogs. I’m trying to spread my wings there and would appreciate your help. What do a breath-taking sunset, the smell of ocean fog and the feel of it on your face, the flavor of strong black tea on a chilly morning, and bright golden fall leaves back-lit by the sun all have in common? Don’t they make you stop for a moment and beam inside? Make you feel like you could soar right out of your body? Do they put you back in touch with who you are at your core? With spirit … and beauty … and joy? Well, I’m going to be getting back in touch every week and I’d love it if you’d join me. Sonia just offered a generous Thanksgiving gift to everyone — free, no strings attached — of one of her online classes. It’s called The Answer is Simple. It’s a 10-week course and each week consists of 2 short (~5 min.) videos; one is a lesson for the week, the second is a related practice. I’m going to see what comes up each week and do a short post about it on Fridays. And it would be fantastic if you did the same course week with me, then come over and join in the conversation. But mostly, it will be fun! And doing it together will multiply its effectiveness. 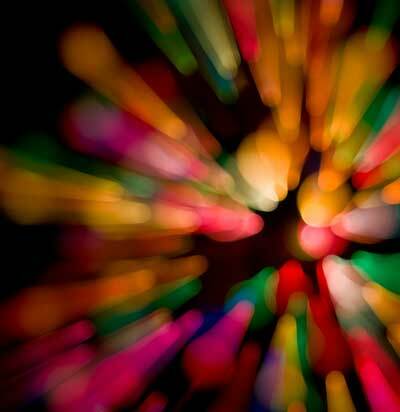 The holiday season is a perfect time to be in more constant, conscious touch with our spirits, don’t you think? I do … so I started the course this morning. It was lovely! (And that’s not even a word I use!) It set my day off just perfectly. This coming Friday is the only Friday I’ll skip because we’re already well into this week (and a holiday week at that), and I want to give you time to hear about this and join us. So I’ll write about Week 1 on next Friday the 2nd. And I hope to see you back here then! If you’re going to do it with us, will you leave a comment and let me/us know? And if not … well … I’ll miss you, but I hope you enjoy it if you do it on your own. Or maybe you just need to check it out first. You can get it here. Oh, and Sonia invites you to share it with your friends too! Best plan yet? Join me/us and share this post besides. It’ll be one big party! I can’t say enough about the power of John Sherman’s simple yet radical message: Look at Yourself. Join us for Just One Look – An experiment in the power of human consciousness to free itself from the fear of life.